Plan now to attend the world’s largest balloon festival! In early October, the Albuquerque skies are filled with color as more than 500 balloons lift off from Balloon Fiesta Park. Attend the Albuquerque International Balloon Fiesta and be part of an amazing hot air balloon experience. Walk among the moving picture show of hot air balloons lifting gently through the crisp, fall air. It’ll feel like you’re in a dream. 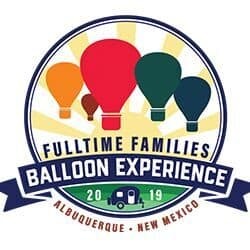 Fulltime Families is excited to announce the 2019 Balloon Experience! We will arrive the week before the fiesta begins to get to know other families, have fun, participate in crew training, get up close and personal with the balloons, and learn from the balloon pilots themselves. This is not an experience to miss! 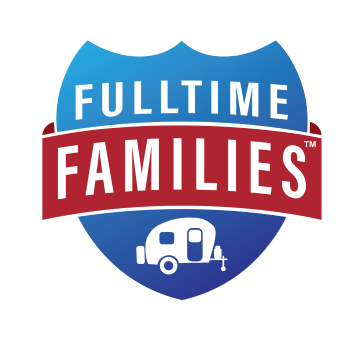 The Fulltime Families Balloon Experience Rally will take place Tuesday, October 1st through Sunday, October 6th, 2019. Families will check in on Monday, September 30th, and are welcome to check out any day after Sunday, October 6th. Additional days after the conclusion of the rally will need to be booked through the Balloon Fiesta directly. Most organized rally activities will be scheduled Tuesday through Friday, giving everyone the chance to enjoy the festival once it begins on Saturday. Rally fees will include two Balloon Fiesta admission tickets per adult, and kids are admitted to the event free of charge. Fulltime Families rally participants will attend some portions of the Balloon Fiesta as a group on Saturday and Sunday, as weather allows. Two entrance tickets per adult to the Balloon Fiesta are included(kids are free), so we can all attend the Fiesta on Saturday and Sunday as weather allows. The rally will occur on the Balloon Fiesta Campground Standard lot. This is a boondocking lot within walking distance to the Balloon Field. 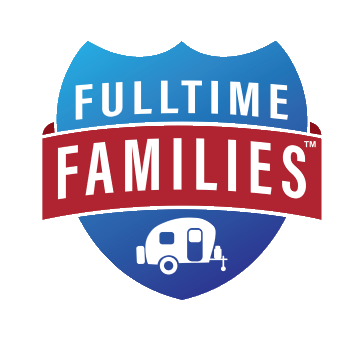 When you book your site with the Balloon Fiesta, be certain to indicate “Fulltime Families”. All Fulltime Families arriving Monday will be placed together in a gated camping area, within close access to a dumpster, portable toilet, and a shuttle stop. By arriving on Monday, we participate in half-price camping rates from Monday–Thursday. Full-price rates will be charged beginning on Friday and through the remainder of your stay. Keep in mind that by arriving Monday, there is very little delay for parking on-site, and it is a stress-free parking experience. Arrive late however, and all bets are off! Are you afraid to boondock? Don’t fret! We all help each other. A pumper truck will visit your site and pump your tanks for $30, and a water truck will fill your tank for an additional fee. That said, a fellow Fulltime Families member will probably help with either for a handshake and a smile! Mix and Mingle Games and Activities to meet new friends. Working family members can still work and not miss out on all the fun. Continue homeschooling/roadschooling, if you desire. Restock your fridge with a visit to the grocery store. Visit a local Laundry facility. Schedule time with the Pump truck and Water truck. Help your child prepare for the Kid’s marketplace. Relax for a few hours in between the crazy RALLY TIME! Sorry, there are no campsites available at this time. Once you register, feel free to join the Facebook Group for the 2019 Fulltime Families Balloon Experience. 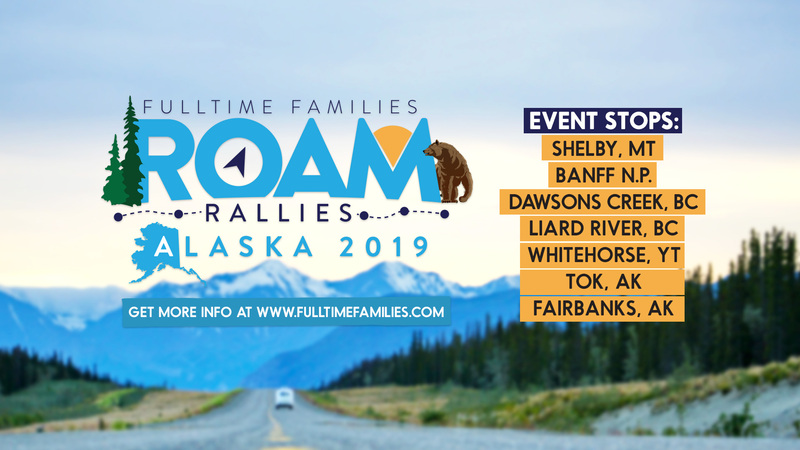 Cancel before July 30, 2019 for a full refund of rally fees with a $10 cancellation fee. Cancel between August 1 – August 29 for a 50% refund. Cancellations after August 30, 2019 will not be refunded. If you want t shirts shipped, there is an additional shipping fee of $6 per shirt.